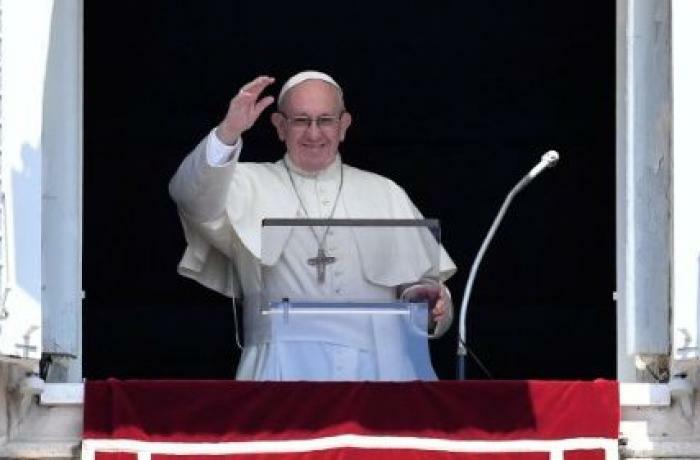 Vatican City (AsiaNews) – Pope Francis spoke today to the faithful gathered in St Peter’s Square for the Angelus, offering a prayer for Saint Josephine Bakhita to help "all those who are trapped in slavery", victims of human trafficking. As a child, the saint was sold into slavery, and then freed by her owner, an Italian. Later she became a Canossian nun in Venice and lived in Schio (Vicenza). On her feast day, 8 February, the fifth International Day of Prayer for Victims of Human Trafficking was held, titled ‘Together against human trafficking’. Afterwards, together with pilgrims, Francis recited the prayer that had been handed out to everyone in the square. Before that, he offered his thoughts on today's Gospel (5th Sunday for year, C; Luke 5:1-11). "It was a wondrous catch. . . When we place ourselves generously at his service, He does great things in us. He does the same with each of us: he asks us to welcome him on the boat of our life, to start again with him and to plough a new sea, which reveals itself full of surprises. His invitation to go out into the open sea of ​​the humanity of our time, to bear witness to goodness and mercy, gives new meaning to our existence, which often risks turning inward." 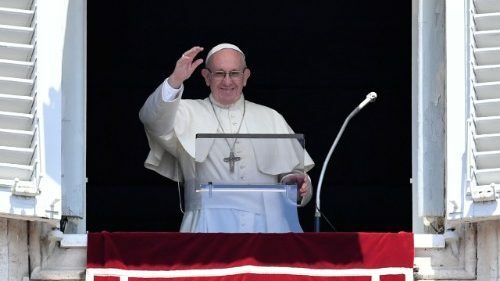 The Holy Father ended his address by speaking about Peter's resistance, a sign of his "inadequacy" ("Depart from me, Lord, for I am a sinful man”), and Jesus' encouragement ("Do not be afraid; from now on you will be catching men”). For Francis, "The greatest miracle accomplished by Jesus for Simon and the other disappointed and tired fishermen, was not so much the net full of fish than helping them not to fall victim to disappointment and discouragement in the face of defeat. He opened them up to becoming proclaimers and witnesses to his word and to the kingdom of God. And the disciples' response was prompt and total. ‘When they brought their boats to the shore, they left everything* and followed him’ (Luke 5:11). “May the Blessed Virgin, a model of prompt acceptance of God's will, help us feel the fascination of the Lord's call, and make us available to work with him to spread his word of salvation everywhere."